“Follow us,” they said. “It will be fun,” they said. 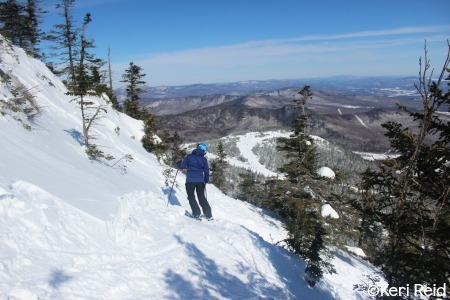 Typically that kind of narrative leads to disaster, but at Jay Peak (VT) it really was fun. Our first run, our foursome of friends stared down steeps somewhere near Green Beret then at each other with looks that asked the unspoken question: should we? After a 40 minute wait (!) to get up the tram, our better judgement had long before been tossed aside. Needless to say, we charged down the chute with reckless abandon and it was glorious. Sidebar: not warming up before tackling more challenging terrain is a bad idea, but sometimes it’s oh-so-good to be bad. Beaver Pond Glade and Andre’s Paradise have to be some of my personal favorite trails. Tucked away at the edge of Jay’s boundary, they often seem to be overlooked. Translation: untracked snow abounds. 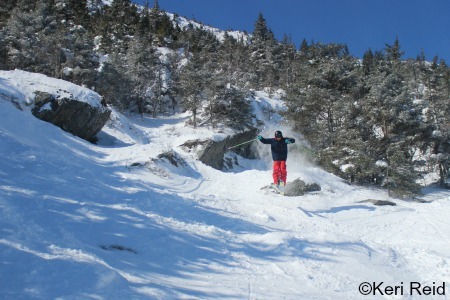 For those less adventurous, stick skiers right to make it back to the base of the mountain. Venturing further out could mean needing to plan for a ride back from a friend. Or hitching your way home. Vacation calls for the requisite noon time beer break… and by noon I mean 11:30. We choose to stop in at The Bullwheel to wet our whistles. 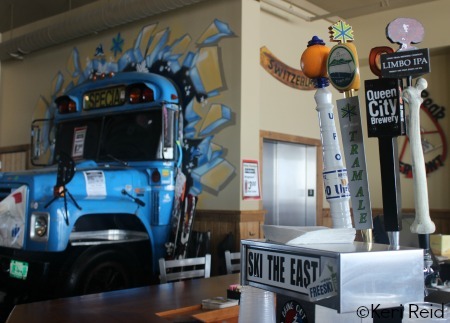 Located in the new Stateside Baselodge, it offers stunning views of the mountain and a multitude of tap beers. Soaring ceilings allow for amusingly large focal points such as the whole front end of a bus (yes, really) and of course one very real bullwheel. 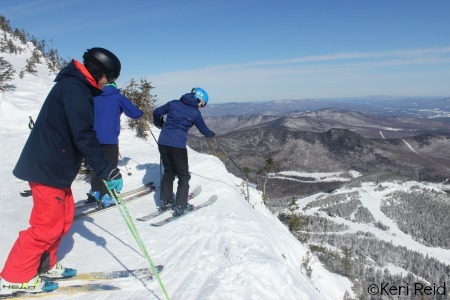 Learning French is just an added bonus to visiting Jay Peak. So close to the Canadian border leading into Quebec, there are French Canadians a-plenty tearing down the mountain. It makes for a strange microcosm of culture in middle-of-nowhere Vermont. 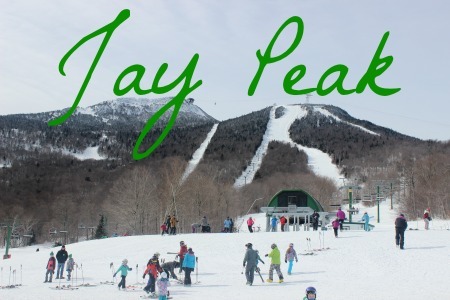 Have tips to share about where to ski on Jay? Comment below! Stay up-to-date on all things snow by following me on Twitter or RSS/email. 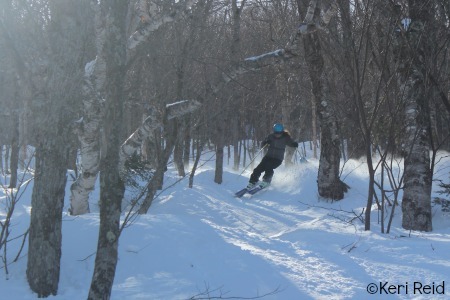 Keri Reid is a professional ski instructor, snow sports manager and winter enthusiast. Her passion for alpine sports has taken her from North America to New Zealand and most recently Japan. She loves the silence of deep champagne powder, uncovering hidden trails and a good coffee. Ski bag in tow, she collects snowy memories from locations across the globe. Delve into the world of skiing with tips, musings and inspiration on everything winter. Copyright © Keri Reid All images displayed on the Ski Gypsy blog are copyrighted. Kindly contact me should you wish to use any of the photos posted for commercial purposes. For recreational sharing, be sure to attribute the photo credit to me by mentioning my name or blog.